Can Imran Khan deliver what he promised? In his first address to the nation after taking charge as Prime Minister, Imran Khan made several promises, including fixing Pakistan’s economy, health and education. Would he be able to keep them? Ammar Masood, an Islamabad-based analyst, believes that Prime Minister Imran Khan’s team may cause problems for his government. “Twelve out of 21 ministers and advisers in the PTI government were part of Pervez Musharraf’s government,” Masood told Paras Jahanzaib. Imran Khan wouldn’t have won the 1992 world cup if he didn’t have a good team, he added. However, journalist Ansar Abbasi says Prime Minister Imran Khan should be supported if he intends to do something good for the country. 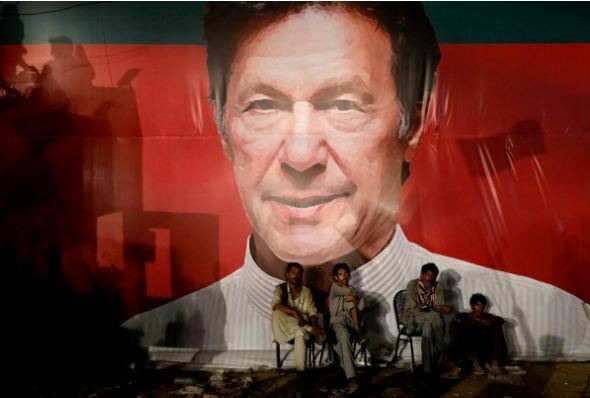 Imran Khan is not living in Prime Minister House but in a three-bedroom residence. Former PM Shahid Khaqan Abbasi did not live in Prime Minister House but in his own residence in Islamabad, Abbasi said. Ansar Abbasi said that Prime Minister Imran Khan should implement the policy of austerity when it comes to civil bureaucrats, judges and generals. “The Chief Justice of the Lahore High Court lives in a house on a plot bigger than 70 kanals,” he said. Mohsin Baig, another Islamabad-based analyst, said that Imran Khan has given Dr Ishrat Husain, the former governor of the State Bank, the task cutting the cost of government affairs.